When people think “Maldives” and “glass”, they think about the dramatic glass floors that have become de rigeur in the luxury water villas. These transparent apertures provide a portal to the main event of the Maldives – its colourful seascape below. 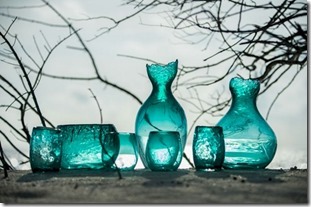 Now Soneva Fushi is producing visions of glass just as striking and stylish…but you can take home with you. 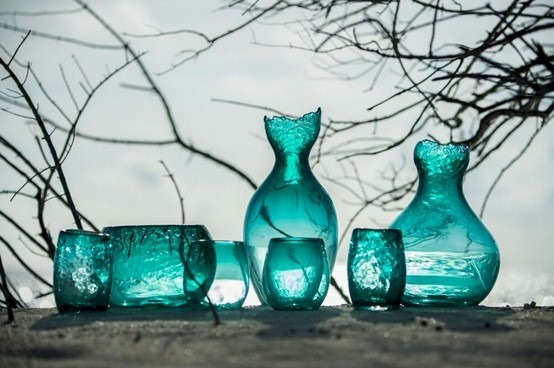 Soneva has opened a glass studio on the resort to create all sorts of aquamarine pieces of art. Furthermore, the pieces are not only a memento of your experience, but are literally a part of your experience. 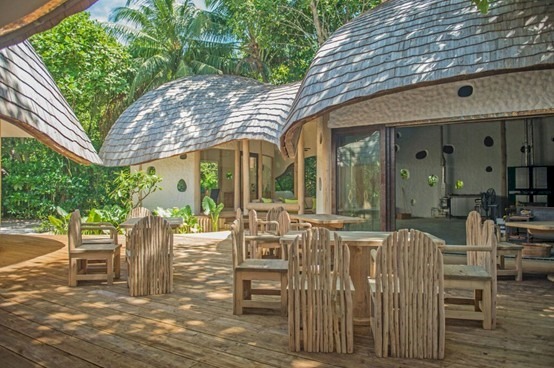 The eco-obsessed Soneva uses only discarded glass from the island. So you can take home that bottle of the wine you drank in the form of a glass to commemorate your stay. A few years ago, our daughter gave us a Christmas gift of a session in a glass studio and it was fascinating. Not only did we get to watch and contribute to the molten fluidity of working with the hot glass, but we also took home two tree ornaments that we designed and helped “blow”. 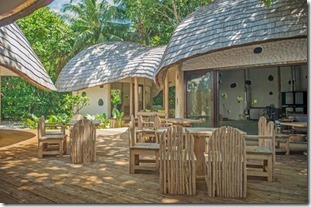 If Maldives is the Venice of the tropic, then Soneva is now its Murano.